Terasense has just returned from the German THz Conference 2015, Dresden June 8-10, one more terahertz related event, spectacular, invigorating and focused, as all of the trade shows hosted by HZDR in Germany. 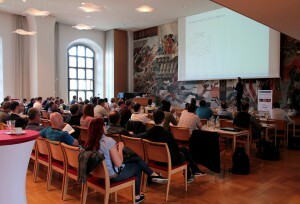 This time the organizers from Helmholtz-Zentrum Dresden-Rossendorf (HZDR) decided to break the mold for similar THz events by bringing together German scientists and students working in all fields of Terahertz physics and technology. The show was held under the auspices of the German THz Center (Deutsches THz Zentrum, DTZ), which is an augmented version of the annual meeting of DTZ. Seeking to encourage international participation and open-minded exchange of opinions all talks and presentations were delivered in English. 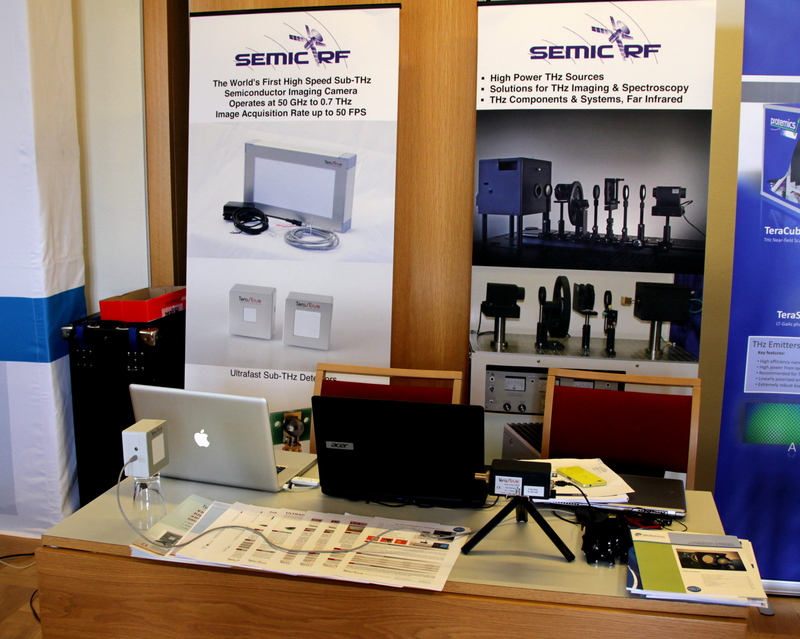 Terasense was privileged to have SEMIC RF Electronic GmbH, our authorized distributor for Germany, Switzerland and European Union, to represent our Terahertz imaging systems at the show. Mr. Wolfgang Gruber, SEMIC RF Geschäftsführer together with Ms. Alina Khisameeva, Terasense Senior Sales Engineer, made every effort to turn our exhibition booth into a truly mesmerizing terahertz performance heating imagination of the visitors. We believe we've managed to strike home with many of them and generated quite an interest with the public judging by their spontaneous cries of admiration and flattering feedback we got afterwards. 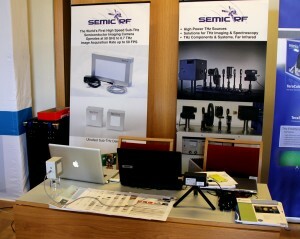 Among the most salient visitors we would like to point out such high-profile companies as TOPTICA Photonics GmbH, Germany; SKZ, Germany; FITM, Germany ; PTB, Germany; NEST, Italy; ProMetrics, Inc, USA; Georgia Institute of Technology, School of Electrical and Computer Engineering, USA; Radboud University, The Netherlands and many others. H owever, along with a number of leads and prospects collected during the event, the ultimate criteria of success for a trade show, of course, would be the number of products sold afterwards. We have no doubts whatsoever, that our prospective clients would be even more impressed with Terasense Teraherz imaging systems, THz cameras and source, after having hands-on experience with them for their intended applications. Seeing is believing is very true, especially when speaking of THz imaging! Terahertz technology becomes increasingly popular and keeps conquering more and more applications slowly by surely penetrating new industries around the world. Recognizing this fact it was absolutely logical and anticipated that part of the last day of the THZ conference was dedicated to a memorial symposium for Ralph A. Höpfel, fondly remembered by many in Terahertz community as one of the most prominent pioneers of ultrafast and THz spectroscopy. The Helmholtz-Zentrum Dresden-Rossendorf (HZDR) is a member of the Helmholtz Association of German Research Centres pursuing new insights that allow us to improve our lives by introducing state-of-the-art THz innovations into daily routine. We really hope that in the future Terasense will make a good practice of exhibiting at such wonderful German shows that are commonly recognized to be a potent engines in propelling THz technologies.